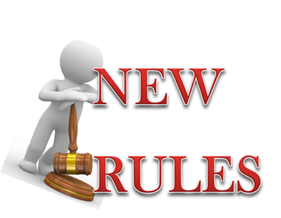 There have been new changes/updates to the Immigration Rules. The Statement of Changes to the Immigration Rules (HC677) has now been laid. This update therefore reviews the major changes affecting employers and their employees. We are also setting out some of the major changes introduced by the Immigration Act 2016 which will be enforced as of this month. The 28 day rule previously allowed an individual to make an application for further leave to remain in the UK up to 28 days after their visa had expired which will be abolished from 24 November 2016. Instead, if someone applies after their visa has expired (known as ‘out of time’), the application will be refused on that basis alone, unless the individual applies within 14 days and has very good reason for overstaying their visa and applying out of time. We expect this to be a very high threshold and employers should therefore be proactive in contacting employees to ensure that visa renewals are submitted in good time. There is however a 14 day grace period when the individual had applied in time but their original application was refused and they are making a fresh application. Changes will come into effect for all Certificates of Sponsorship (CoS) assigned by Tier 2 Sponsors on or after 24 November 2016. The changes will include the following points. The salary threshold for new Tier 2 General hires will increase to £25,000. The New Entrants threshold will however remain at £20,800. This will not apply to workers sponsored before 24 November who apply to extend their Tier 2 General Visa. The salary is set to increase to £30,000 in April 2017. It is anticipated that there will be no transitional arrangements for workers sponsored in Tier 2 General between 24 November and April 2017 who will need to satisfy the £30,000 threshold in any future application. UK Graduates who have returned overseas will be more heavily weighted in the Tier 2 Restricted Certificate of Sponsorship monthly allocation. Applicants sponsored in graduate training programmes may change occupation within the programme or at the end of the programme without their sponsor needing to carry out a further Resident Labour Market Test (RLMT) or for them to make a new application. From April 2017 sponsors can rely on a milkround that ended up to four years prior to assigning a CoS but only if the worker was offered the job within six months of the milkround taking place. The rules clarified that when switching from Tier 4 to Tier 2 is only permitted where the applicant studied at the UK recognised body or body in receipt of public funding as a higher education institution and to also prevent an applicant relying on a qualification obtained via supplementary study. Nurses will remain on the Shortage Occupation List, but a resident labour market test will be required before a CoS can be assigned. The salary threshold for Tier 2 Intra Company Transfer (ICT) Short Term Hires will increase to £30,000. Transitional arrangements will be in place for those already in the UK under this route. The ICT Skills Transfer sub-category will close to new applications. The salary threshold for Tier 2 Graduate Trainees with decrease to £23,000 while the number of places available to sponsor will increase from five to twenty places a year. The date for the introduction of the Immigration Health Surcharge for ICT applicants has yet to be determined. On 6 November, the UKVI introduced a new priority service for Tier 2 Sponsors. For a fee of £200, the new priority service will process requests and applications in five working days. The service allows Tier 2 and 5 A-rated sponsors to apply for a faster consideration of four types of change of circumstances request. replace an authorising officer (AO). From May 2017 a new English language requirement at level A2 of the Common European Framework of Reference for Languages is introduced for applications for further leave to remain in the UK as a partner or parent after completing 30 months in the UK on the five year route to settlement under Appendix FM. The level of NHS debt is reduced from £1,000 to £500 as a discretionary basis for refusal on the ground of suitability for applications decided on or after 24 November 2016. The rules have been made stricter with regards to ‘Surinder Singh’ cases, where a British national has exercised treaty rights abroad and now wishes to return to the UK with their non-EEA family members. Whilst some of the changes appear to be a breach of EU law, it may be that the Government is relying on the fact that we will have left the EU before the ECJ gets around to hearing any challenge to the new regulations. From 21 November 2016 public authorities will be subject to a new ‘fluency duty’ to ensure that their public facing workers speak fluent English (or in Wales, Welsh). The duty applies to all bodies which carry out functions of a public nature. From 1 December 2016, a new ‘remove first, appeal later’ provision will come into force. This will allow the Home Secretary to certify human rights claims not involving asylum or protection issues, to force the individual to leave the UK before their appeal is heard. From 1 December 2016 it will be a criminal offence for a landlord or their agent to allow their rented accommodation to be occupied by an adult who they know, or have reason to believe is disqualified from renting because they do not have the right to be in the UK. This makes it even more important for landlords to carry out checks before renting their property. A defence is available if the landlord can show they took reasonable steps to end the tenancy within a reasonable time after realising that the tenant does not have the right to rent. New powers of eviction are also being introduced. HMRC is consulting on draft regulations, under which an employer subject to a civil penalty for employing an illegal worker will be excluded from claiming the usual NICs employment allowance. This would apply for the full tax year, following the year in which the penalty has been imposed and appeal rights exhausted. The consultation closes on 3 January 2017. The High Court has held that the Government does not have a prerogative power to exercise Article 50 and that it is a matter for Parliament. The case has been escalated and will be heard by in the Supreme Court on 5 December 2016. All 11 Law Lords will sit to hear this unprecedented case. We do not expect to have their judgment until the New Year. Teresa May remains adamant that this will not affect her proposed timetable for Brexit. If any of the above changes affect you in any way please contact our team on 0203 627 4777 and one of our advisers will be able to assist you.